Originally a family home in the 1920’s, this boutique hotel offers a glimpse into the rich cultural heritage of post-colonial Peru. 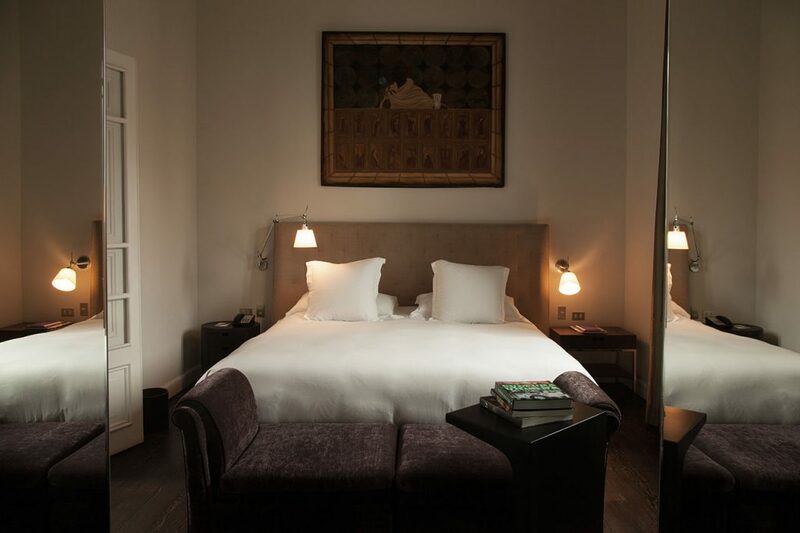 Every room is fitted with handcrafted wooden furniture and original local artwork, offering bags of character and Peruvian charm which can be hard to come across in this cosmopolitan area of Lima. So if you fancy a change from the popular chain hotels, Antigua Miraflores’ eclectic décor and colourful history is sure to make you feel welcome. We recommend upgrading to one of the deluxe rooms which are situated in the old casona for a truly authentic experience! Set in the bohemian Barranco district of the city, which is often overlooked by visitors drawn to the hustle and bustle of neighbouring Miraflores, Hotel B boasts a decadent and traditional exterior. Designed as a summer retreat in the early 20th century by French architect Claude Sahut, it still offers the perfect mix of luxury, style and character. Relax in one of the numerous guest areas, whether that be the ‘Classic Explorer’s Club’ style library or the ‘Sundowner’ rooftop deck, which enjoys fantastic views of the Pacific Ocean and surrounding area. The Hotel B has only existed as a hotel for a couple of years, but from the day it opened its doors it’s been straight in our top 5 hotels in Lima. 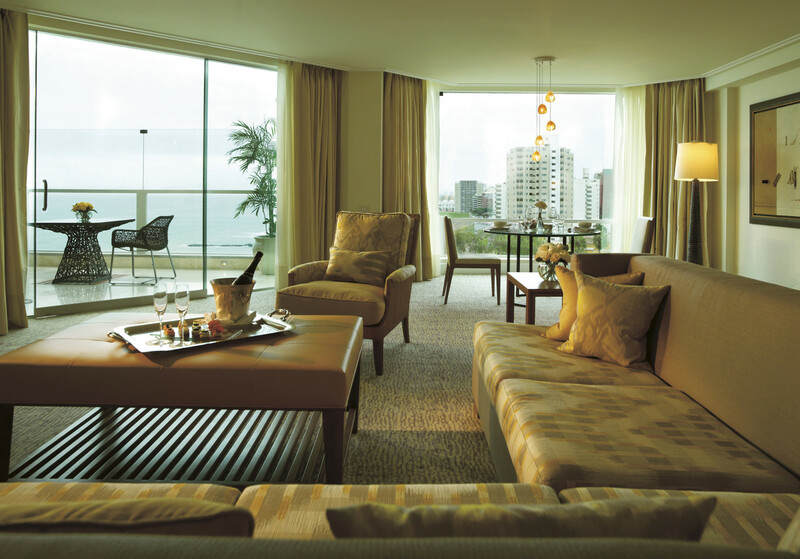 Don’t miss taking a peek at Lima’s emerging art scene, seen here in the hotel’s unique collection! 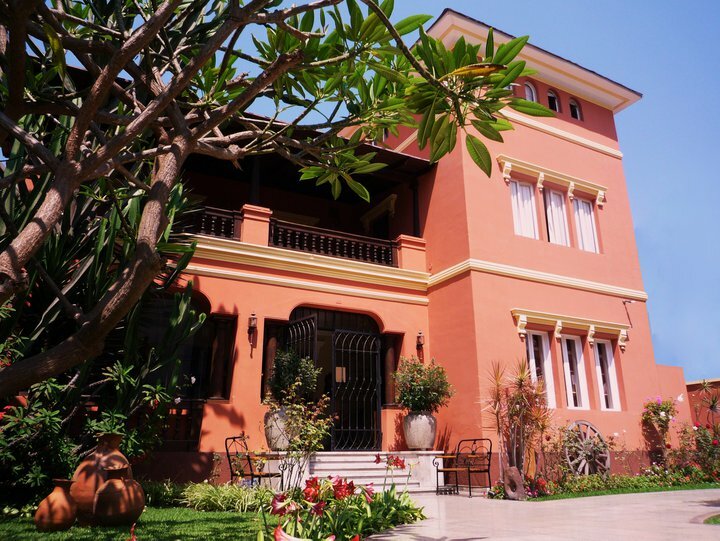 If you are after an indulgent hotel experience Belmond Miraflores Park really can’t be beaten. Situated beside the Pacific Ocean, offering breathtaking sea views from its rooftop swimming pool, whilst still within easy reach of Lima’s wealth of attractions, this hotel as it all. If money is no object why not stay in the presidential suite with your own private terrace, sauna, plunge pool and panoramic vista. We’d suggest a relaxing session in the Zest Spa to help you wind down after a hectic day exploring the city; and don’t forget to sample some indigenous Peruvian and Amazonian health products too! 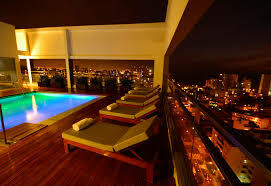 A new addition to the Miraflores hotel scene, the Dazzler offers everything you would expect from a modern hotel. Great location, facilities and, most importantly, price, means you can’t go wrong here. With a range of rooms, self-catering facilities, free Wi-Fi, bar, gym and even a rooftop pool, this hotel deserves it’s place on our top 5 list. Book in advance as Lima is notoriously busy and we expect this place to fill up quickly! 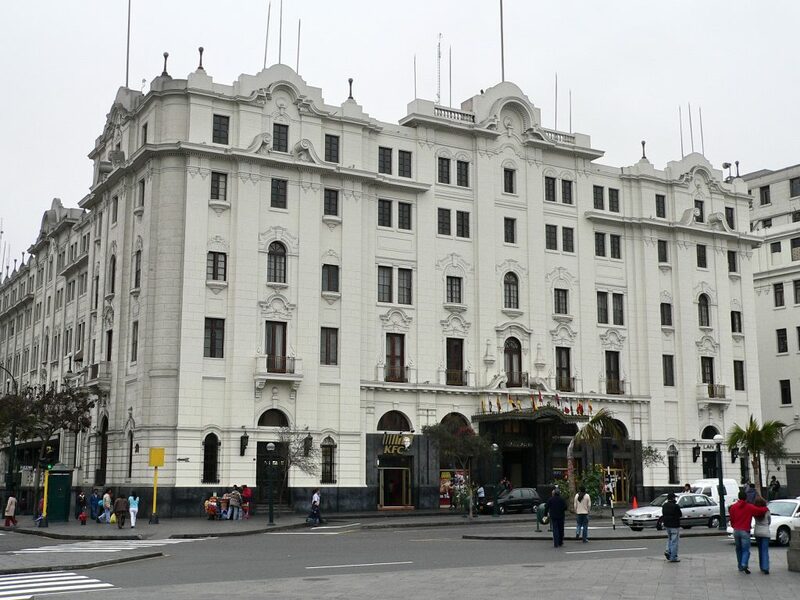 Build in the 20’s to lodge visiting politicians and foreign officials, this hotel is still one of our top 5 hotels in Lima, even if it’s perhaps for the history rather than the luxury it once offered. Hosting guests such as Richard Nixon and Ernest Hemingway, you will feel like you too have been transported back in time as you get lost in Gran Hotel Bolivar’s impressive history. As far as location goes you couldn’t be in a better position to explore Lima’s historic centre, with the Plaza San Martin on your doorstep. Don’t forget to sample the classic South American pisco sour cocktail in the hotel’s art deco style bar! 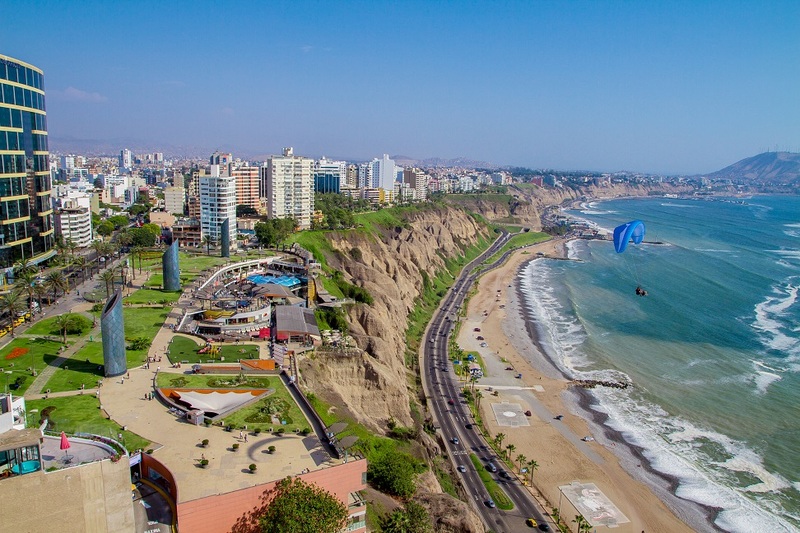 Lima’s list of hotels is ever-growing, as you’d expect from such a busy capital city. 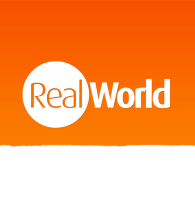 So keep checking back for the most up-to-date accommodation options!